Are you an employer that employees one or more household employees? 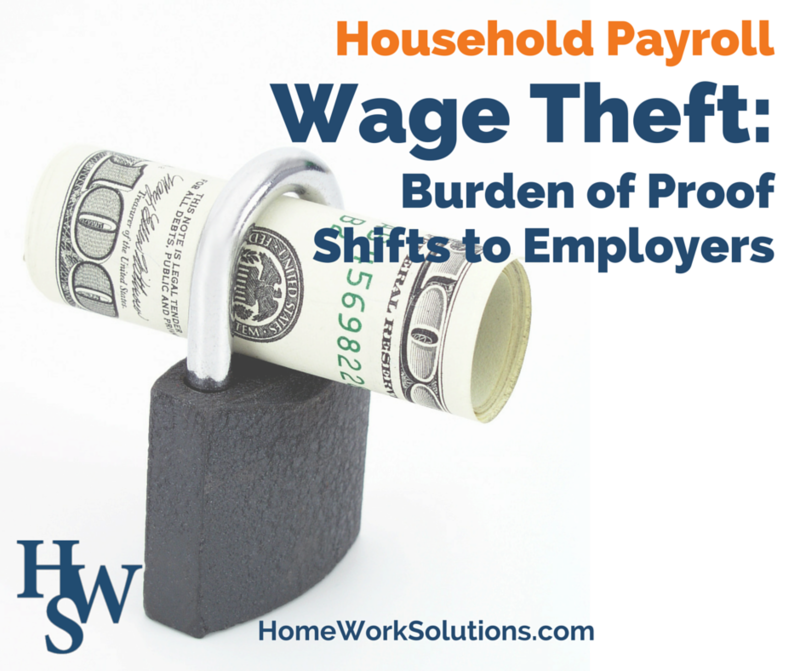 New laws require that employers providing wages to their employees now have the burden of proof, showing that they have paid the workers fairly and that they employees were not short changed out of the pay that they were due. 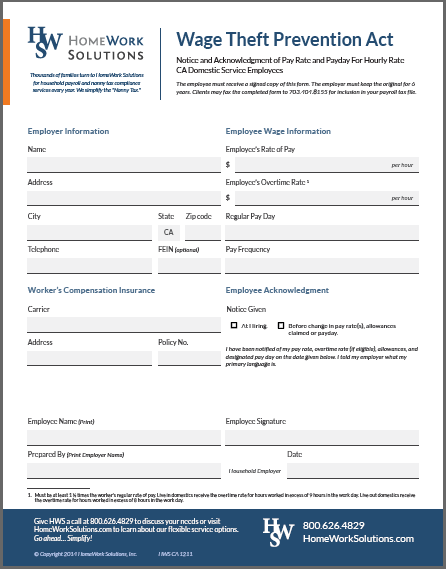 California's Wage Theft Prevention Act (WTPA) requires all employers to provide an annual notice to employees that includes details of their hourly and overtime pay rates. 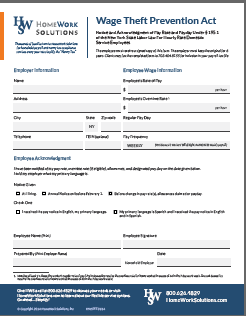 New York Governor Cuomo signed legislation December 30, 2014 that repeals the annual notice provisions of the NY Wage Theft Prevention Act (WPTA).